If you're a jet-setter, you'll love these items inspired by travel. These components are all about the adventure of traveling to new places. You can use them as memories for the places you've been or as wishes for the destinations you have yet to visit. Fall in love with the look of the TierraCast antique copper-plated pewter earth pendant. This pendant is circular in shape and features a design of planet earth on the front. The continents are raised, while the ocean is slightly darker. The back of this pendant is plain. A loop is attached to the top of the pendant, so you can easily add it to designs. It is small in size, so it makes a subtle addition to any look. Add it to earrings, necklaces or bracelets. It features a warm copper glow. Add a Parisian touch to your style with this sterling silver charm. This three-dimensional charm is shaped like the Eiffel tower, the iconic landmark in Paris, France. A jump ring is attached to the top of the charm, so you can easily add it to your designs. Try it in earrings, or add it to a meaningful charm bracelet as a memory of your travels. The brilliant silver shine will work with any color palette you may have in mind. Make your designs stand out with the TierraCast brass oxide pewter earth pendant. This pendant is circular in shape and features a design of planet earth on the front. The continents are raised, while the ocean is slightly darker. The back of this pendant is plain. A loop is attached to the top of the pendant, so you can easily add it to designs. It is small in size, so it makes a subtle addition to any look. Add it to earrings, necklaces or bracelets. It features a dark brassy gold color. Add an iconic landmark to your jewelry designs with this charm. This large charm is shaped like Paris' famed Eiffel Tower. This three-dimensional charm boasts details on both sides, so it will look great from any angle. A loop at the top of the tower makes it easy to add to your designs. Showcase this substantial charm at the center of a necklace. It features a silver shine versatile enough to work with any color palette you have in mind. Show off your love for the planet with the TierraCast antique silver-plated pewter earth pendant. This pendant is circular in shape and features a design of planet earth on the front. The continents are raised, while the ocean is slightly darker. The back of this pendant is plain. A loop is attached to the top of the pendant, so you can easily add it to designs. It is small in size, so it makes a subtle addition to any look. Add it to earrings, necklaces or bracelets. It features a versatile silver shine. Show off your love of coffee with this travel mug charm. This beautiful sterling silver charm is a great way to keep a coffee reminder with you at all times. It also makes a great representation for anyone who loves to camp. This three-dimensional charm is a fun and wonderfully detailed accent to add to your pieces. Use it in a charm bracelet with other pieces that add personality. A jump ring is attached to the loop at the top, so it's easy to dangle from designs. It features a lovely silver shine full of versatility. Get ready to jet set with this sterling silver charm. This charm is shaped like a travel bag with an airplane decorating the surface. If you love to travel, this charm is for you. Use it in a personalized charm bracelet commemorating a special trip. A jump ring is attached to the top of the charm, so it's easy to add to designs. The brilliant silver shine will complement any color palette nicely. Bring style to your jewelry designs with this charm. This three-dimensional sterling silver charm is shaped like a winter boot, complete with warm, fuzzy details. It would make a great accent in a fashionista's jewelry design. A jump ring is attached to the loop at the top of the seat, so it's easy to dangle from designs. Use it in a charm bracelet full of pieces that represent your personality. The versatile silver shine will work with any color palette. Add this cute charm to your jewelry designs. This three-dimensional sterling silver charm is shaped like a backpack, complete with details like straps and front pockets. Use it in back-to-school jewelry, add it to a hiker's look, or try it in a travel-themed piece. A jump ring is attached to the loop at the top, so it's easy to dangle from designs. Use it in a charm bracelet full of pieces that represent your personality. The versatile silver shine will work with any color palette. Accent designs with world style using the TierraCast antique gold-plated pewter earth charm. This circular charm features a planet earth design on both sides. The continents are raised, while the ocean is darker. A loop is attached to the top, which makes it easy to add to designs. Use it in necklaces, bracelets and earrings. It will look great anywhere. This charm features a regal golden shine that would work well with classic color palettes. Add an iconic landmark to your jewelry designs with this sterling silver charm. This charm takes on the shape of the Big Ben clock tower in London. It's a great option for a charm bracelet that commemorates your travels. A jump ring is attached to the top of the charm, so you can easily add it to your jewelry designs. It would look great dangling in earrings. The brilliant silver shine will work with any color palette you may have in mind. Dream of the beach and warm weather with this sterling silver charm. This three-dimensional charm takes on the shape of a flip flop. The front of the flip flop is decorated with a sparkling clear crystal. This is a great accent for beach-themed jewelry, summer looks, and more. The jump ring attached to the top makes it easy to add to designs and the versatile silver shine will work with any color palette. For the earth lover in your life, try the TierraCast antique silver-plated pewter earth charm. This circular charm features a planet earth design on both sides. The continents are raised, while the ocean is darker. A loop is attached to the top, which makes it easy to add to designs. Use it in necklaces, bracelets and earrings. It will look great anywhere. This charm features a versatile silver shine that will work with any color palette you may have in mind. Celebrate summer with this antique silver-plated flip flop sandal charm. The color of this antique silver plating will give your jewelry a beautiful brilliance at a fraction of the price of precious metal, and its lightweight and thin design is ideal for paper crafts. Use this charm in necklaces, bracelets, craft projects, and scrapbooks for a personal touch or a unique embellishment. This flip flop charm can also be paired with sun and boating charms for interesting travel-themed designs. Bring trendy style to designs with the TierraCast brass oxide pewter earth charm. This circular charm features a planet earth design on both sides. The continents are raised, while the ocean is darker. A loop is attached to the top, which makes it easy to add to designs. Use it in necklaces, bracelets and earrings. It will look great anywhere. This charm features a dark golden brown color that would pair well with rich colors. Add shining style to designs with the TierraCast antique gold-plated pewter earth pendant. This pendant is circular in shape and features a design of planet earth on the front. The continents are raised, while the ocean is slightly darker. The back of this pendant is plain. A loop is attached to the top of the pendant, so you can easily add it to designs. It is small in size, so it makes a subtle addition to any look. Add it to earrings, necklaces or bracelets. It features a regal golden shine. Add a relaxing element to your jewelry designs with this sterling silver charm. This three-dimensional charm is in the shape of an Adirondack chair. It's great for any camper or traveler who needs a reminder of the good life. A jump ring is attached to the top of the charm, so you can easily dangle it in necklaces, bracelets, and even earrings. 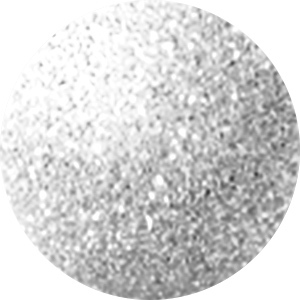 The brilliant silver shine will work with any color palette you may have in mind. Stay up-to-date in your style with this charm. This charm is flat and rectangular in shape, to look like a smart phone. The "screen" of the phone is even detailed with call buttons and app icons. The back of the charm is plain. It's a great accent for teen style or for anyone who can't live without their phone - even in their jewelry. A jump ring is attached to the loop at the top, so it's easy to dangle from designs. Use it in teacher gift jewelry for a meaningful look. The versatile silver shine will work with any color palette. Start cruising with this sterling silver charm. This three-dimensional charm is shaped like a luxury cruise ship full of cute details like port holes. It's a great option for any traveler who loves to cruise or who wants to remember a special trip. A jump ring is attached to the top of the charm, so it's easy to add to your designs. Add it to a meaningful charm bracelet. The brilliant silver shine will work with any color palette. Show your love for the beach with this sterling silver charm. Use this charm in a bracelet or hang it from a necklace for an adorably subtle touch. Use this charm with our durable sterling silver wire and Swarovski crystals for jewelry that is both unique and stylish. This charm is also perfect for embellishing cell phones, scrapbooks, and accessories. Give your creativity some direction with this compass charm. This charm takes on a subtle octagon shape and the center features a compass rose cut-out. Markers for North, South, East, and West decorate the edges of the shape. This design is featured on both the front and back of the charm, so it will look great from any angle. Use the loop at the top to add it to your necklaces, bracelets, and even earrings. It features a versatile silver shine that will work anywhere. This sterling silver charm is perfect for any jewelry with a travel theme. This charm is shaped like a jet plane, so it will represent a jet setter lifestyle wonderfully. You'll love the amazing detail of this charm. A loop is attached to the top of the plane, so you can easily add it to your jewelry designs. The brilliant silver shine will work with any color palette you may have in mind. Add this Impala car charm to your designs for a personalized look. This charm takes the shape of a classic car, so it's perfect for any automobile enthusiast. A loop at the top of the charm makes it easy to add to designs. It would look great in an eclectic charm bracelet with other cool charms that speak to your style. The back of the charm is flat and plain, so it is comfortable and lightweight to wear. It features a versatile silver shine that will work with any color palette. Put earthy style into your designs with the TierraCast antique copper-plated pewter earth charm. This circular charm features a planet earth design on both sides. The continents are raised, while the ocean is darker. A loop is attached to the top, which makes it easy to add to designs. Use it in necklaces, bracelets and earrings. It will look great anywhere. This charm features a warm copper glow that would work well with earthy colors.